Deion: Very deep, intense cherry red colour. 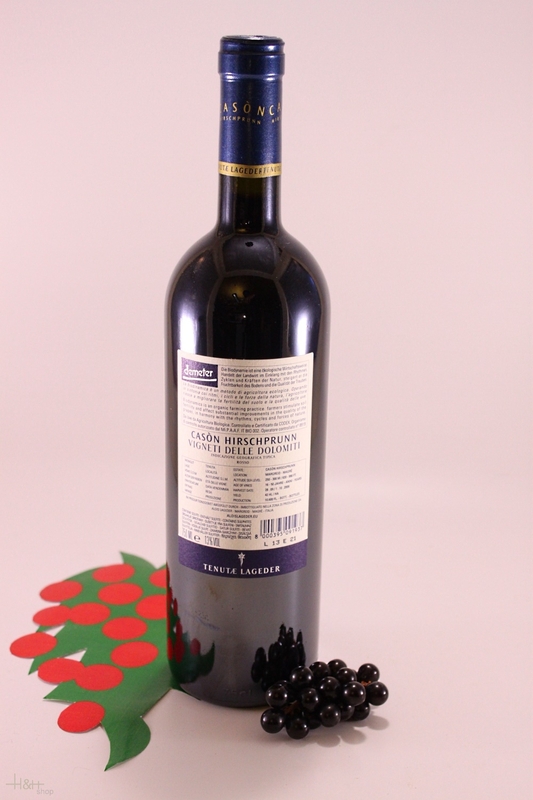 Pronounced aroma with notes of very ripe black and red berries and cherry fruit, paired with oak spice. Full bodied, quite rich and powerful, with very good fruit concentration on the palate. Well balanced, still very youthful. Long, fresh and fruity aftertaste with present tannin. Origin: Casòn Hirschprunn estate vineyards near the village of Magrè at an altitude of 250 to 300 metres (820 to 990 feet). Dry, sandy, gravelly soil with a high limestone content. Other sites have a medium-heavy soil structure consisting of clay and loamy sand. Warm mesoclimate with big variations between day and night temperatures. Vinification: Fermentation and extended maceration for 18 days in stainless steel tanks. Maturation for 18 months in small French oak barrels (Alliers and Nevers, of which half new). "Falstaff Magazin" has rated the wine "Alois Lageder Tenutae Lageder Cason Hirschprunn 'Cason' Rosso, Trentino-Alto Adige, Italy" the vintage 2013 on 06.07.2016 with 92 of 100 points. "Falstaff Magazin" has rated the wine "Alois Lageder Tenutae Lageder Cason Hirschprunn 'Cason' Rosso, Trentino-Alto Adige, Italy" the vintage 2011 on 23.06.2015 with 91 of 100 points. 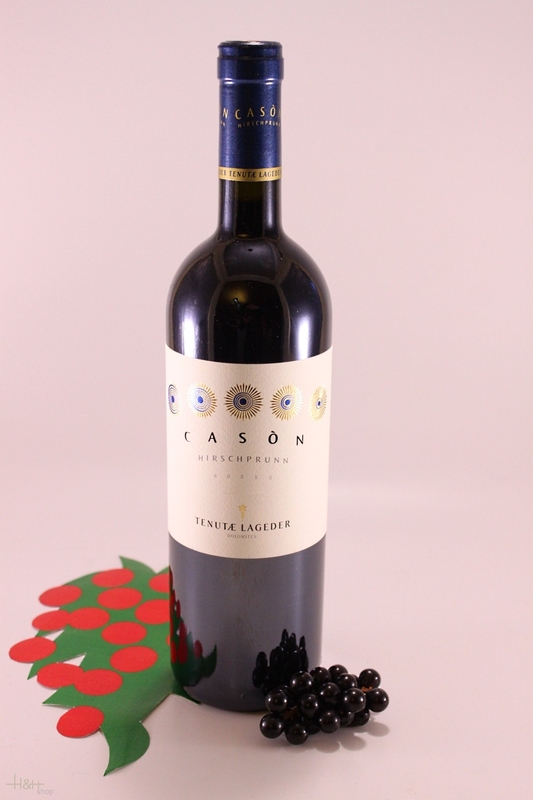 "Falstaff Magazin" has rated the wine "Alois Lageder Tenutae Lageder Cason Hirschprunn 'Cason' Rosso, Trentino-Alto Adige, Italy" the vintage 2009 on 11.07.2012 with 91 of 100 points.